MyTricksCorner v2 Blogger Template is a template which can be used for any kind of blog i.e. . Technology, multimedia, entertainment etc. 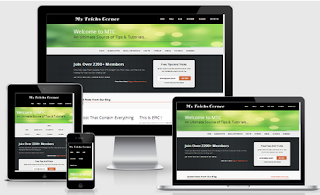 This template comes with all those basic features which are considered as the basic needs of all the new developers and bloggers. I really like this template, looks great!